Though necessary for any serious musician, memorizing all of the key signatures can be a daunting task. It is extremely important to be able to recognize which key a song is in simply by glancing at it’s key signature. 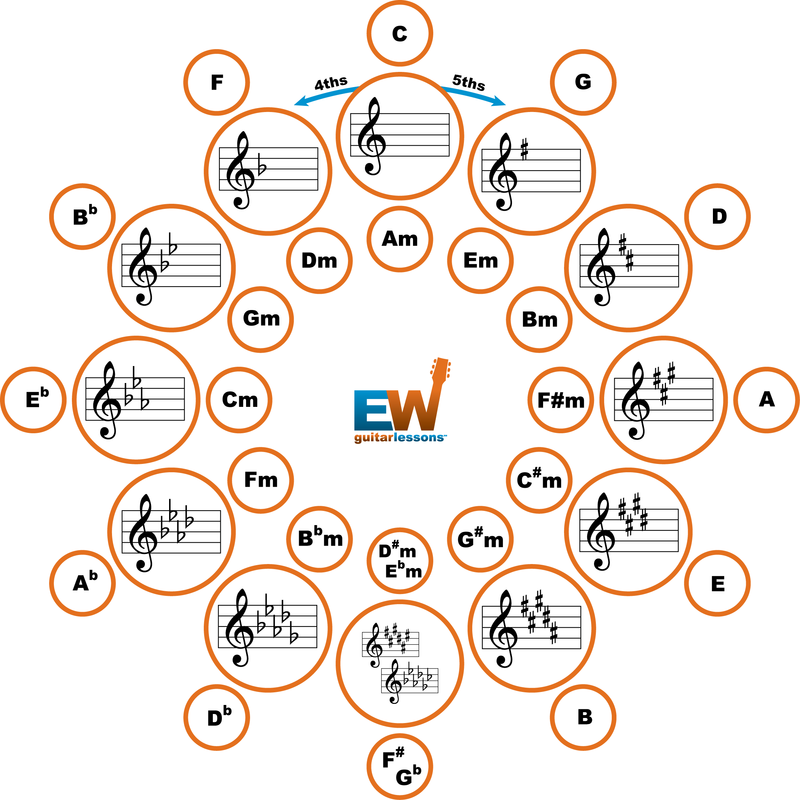 Thankfully, there’s a system to it: the circle of fifths. As you travel around the circle in a clockwise direction, each key is separated by a perfect fifth interval. Each time you move from one key to the next, you add a sharp note to the key signature. The sharp note that is added is always a half step below the root of the key. As you travel counter clockwise around the circle, each key is separated by a perfect fourth interval. Each time you move from one key to the next you add a flat note to the key signature. The flat note that is added is a perfect fourth from the root of the key. One other note. The name of the keys are in the smaller circles. The outer group of circles are the major key names; the inner group are the minor key names.